For decades breastfeeding has been considered a controversial subject with so many expressing such strong opinions on something that is essentially one of the most natural things in the world. But every mom of a newborn is different so shouldn’t we be satisfied that as long as mother and baby are happy that is enough? Unfortunately not in the case of Miira Dawson, who caused quite a stir when she shared with the public that she wanted to feed her two kids until they were 10 years old. 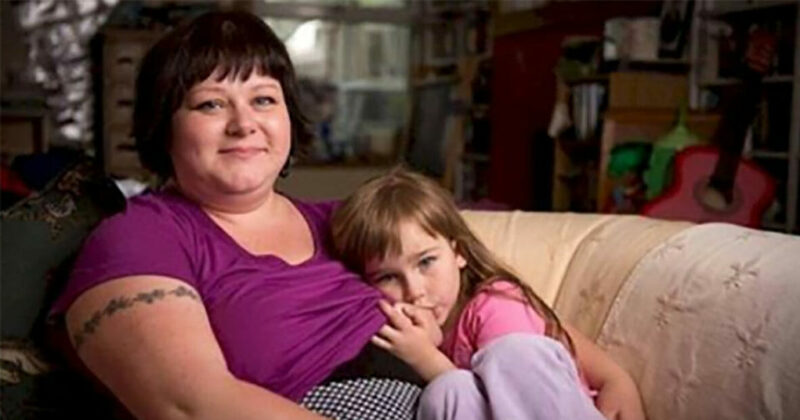 Miira Dawson, from the U.K., says her goal was to carry on breastfeeding both her 5-year-old daughter and her 2-year-old son until they reached their tenth birthdays. Miira also co-sleeps with her son and daughter, while her husband Jim has to sleep in another bedroom, according to the article. A report endorsed by the AAFP says the natural weaning age for humans is anywhere between 2 and 7 years-old. The report adds that breastfeeding past infancy and even into toddlerhood has been shown to decrease breast cancer in the child later in life and could even give the child continued protection against contracting illnesses. This is such a divisive issue and ultimately up to the parent and child. But what do you think? Feel free to leave your thoughts on our Facebook page and don’t forget to share this story.